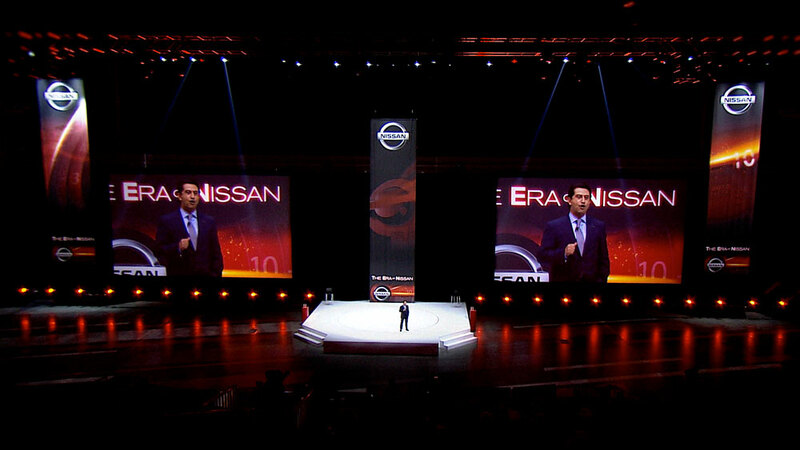 Nissan from Multi Image Group on Vimeo. 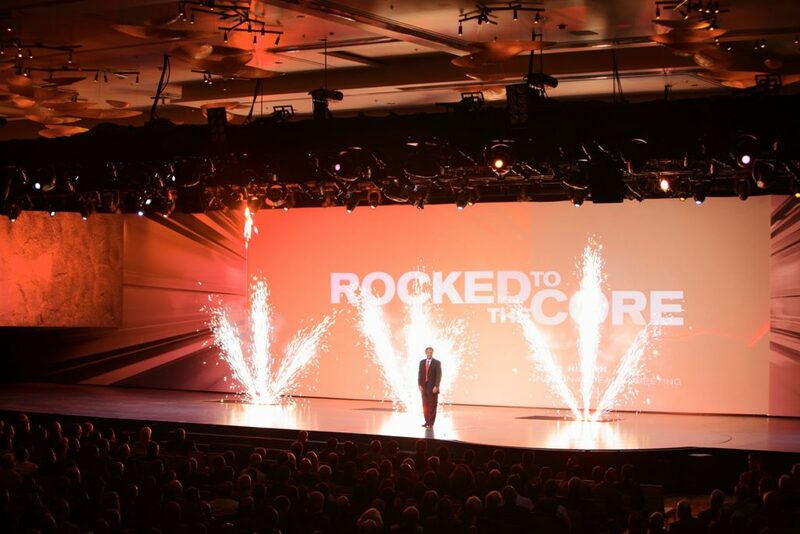 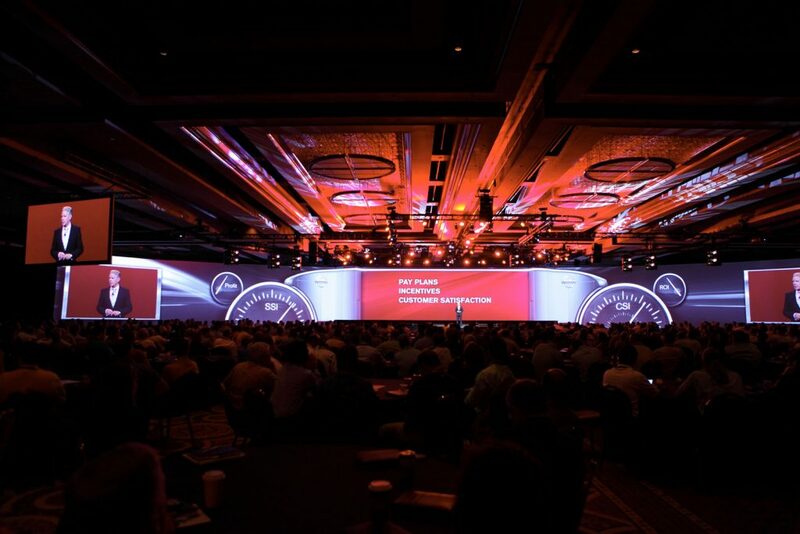 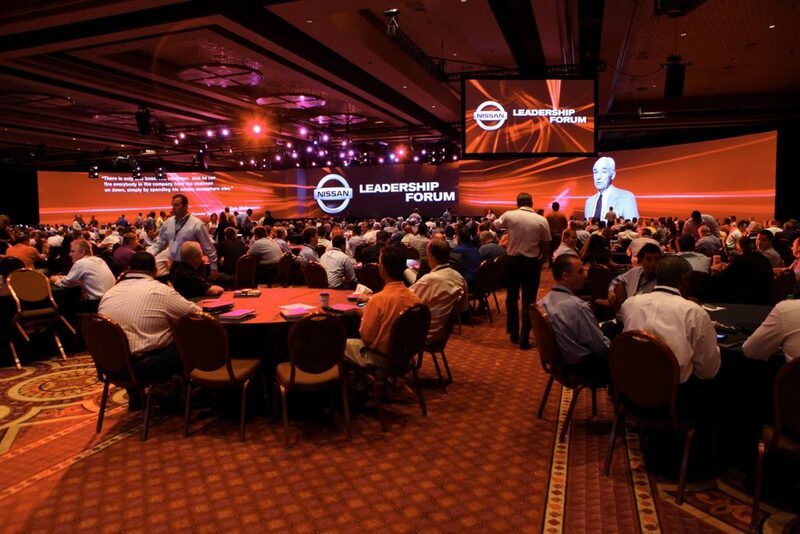 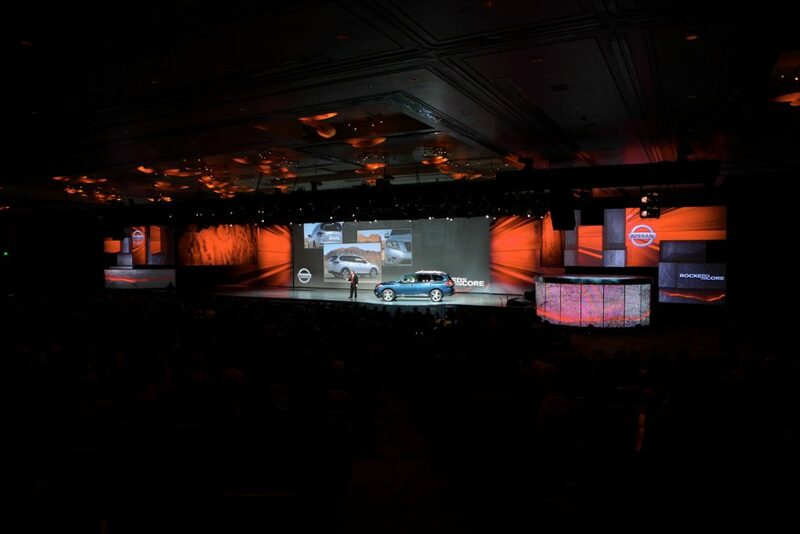 1800 Nissan dealers from around the US converged in Boston for their annual meeting to engage with top leaders and other dealers to see new Nissan products firsthand and engage with a new management team. 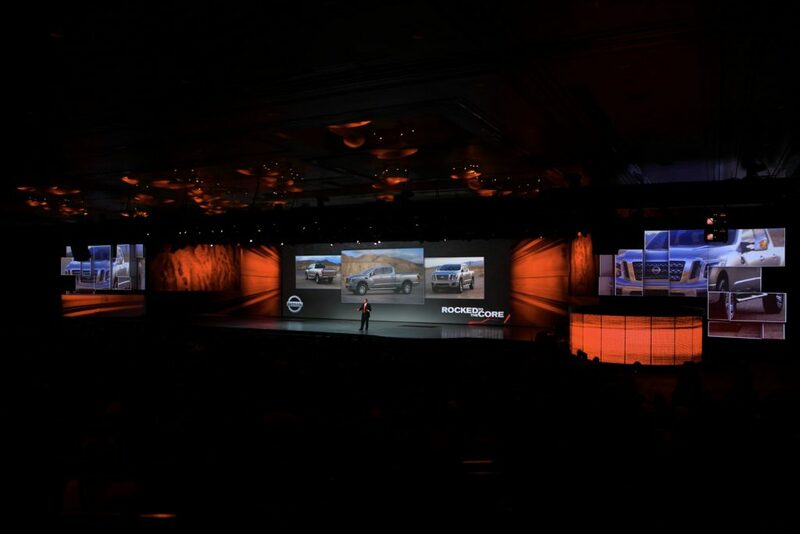 With the reveal of five vehicles in the past year, MIG worked closely with the Nissan client to develop a new and innovative way to showcase these new products. 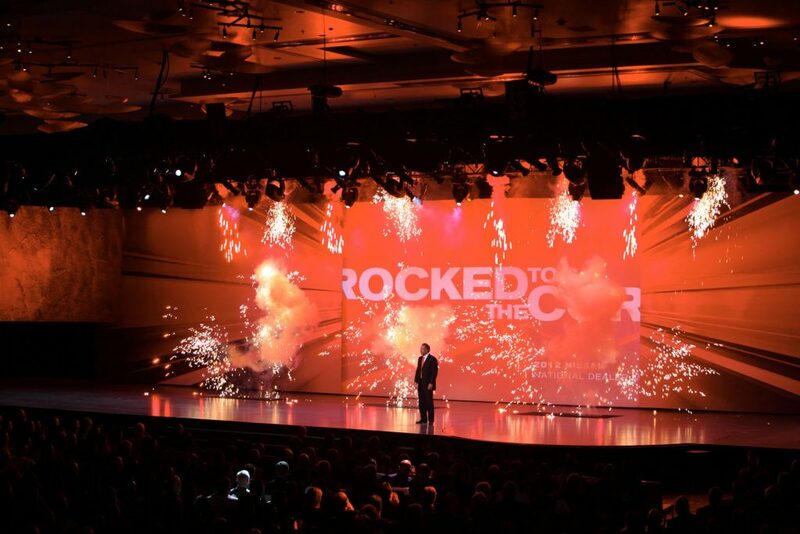 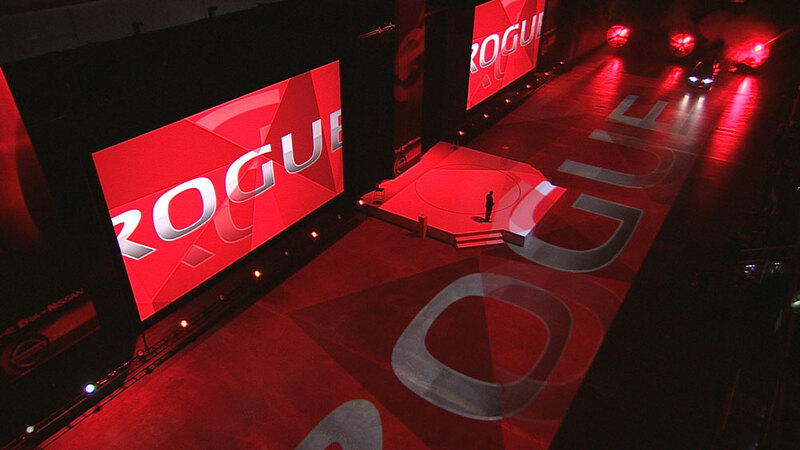 The event was taking place in the Boston Convention Center, which enabled us to create a unique and interactive show. 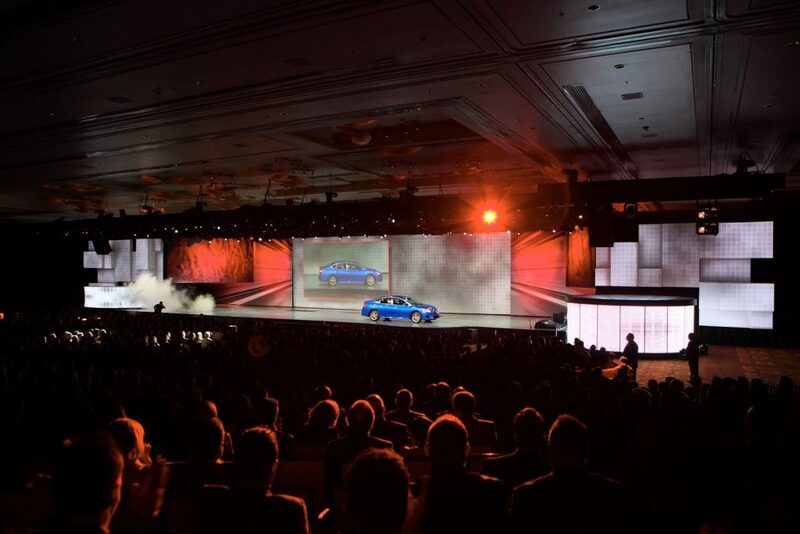 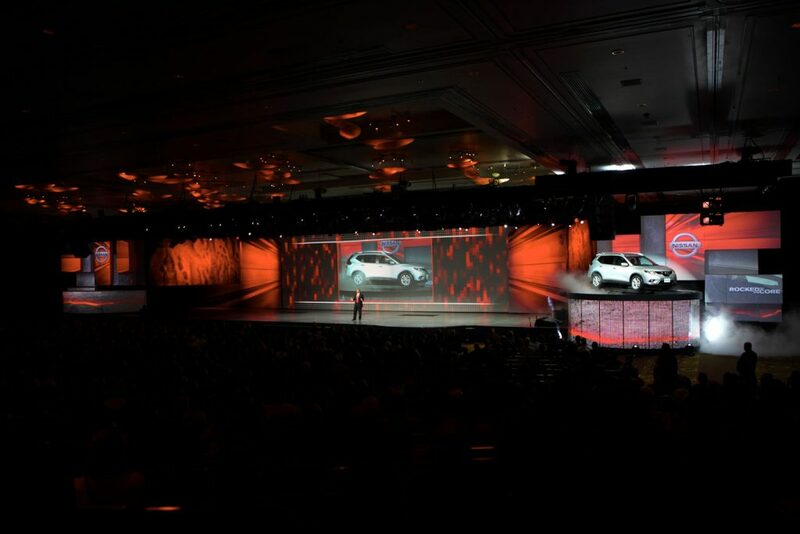 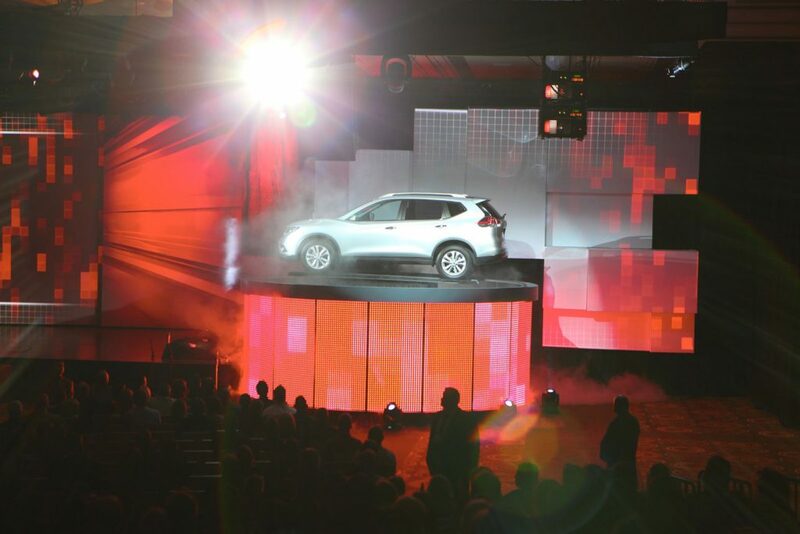 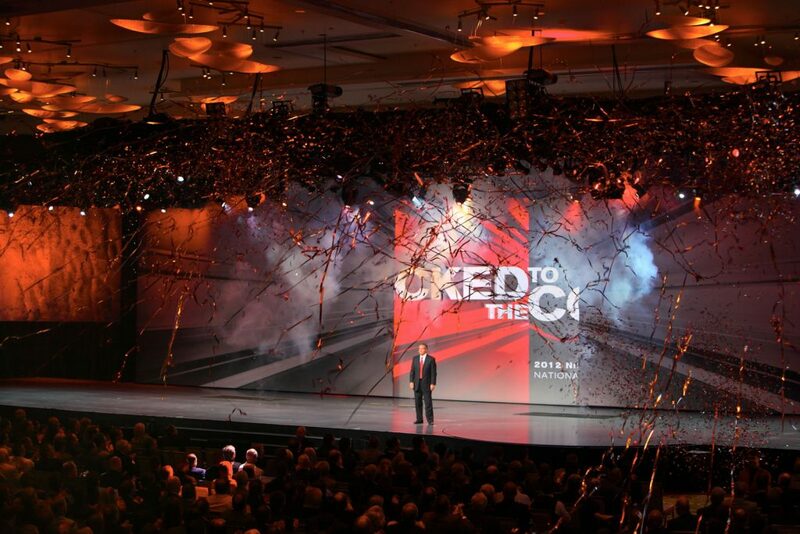 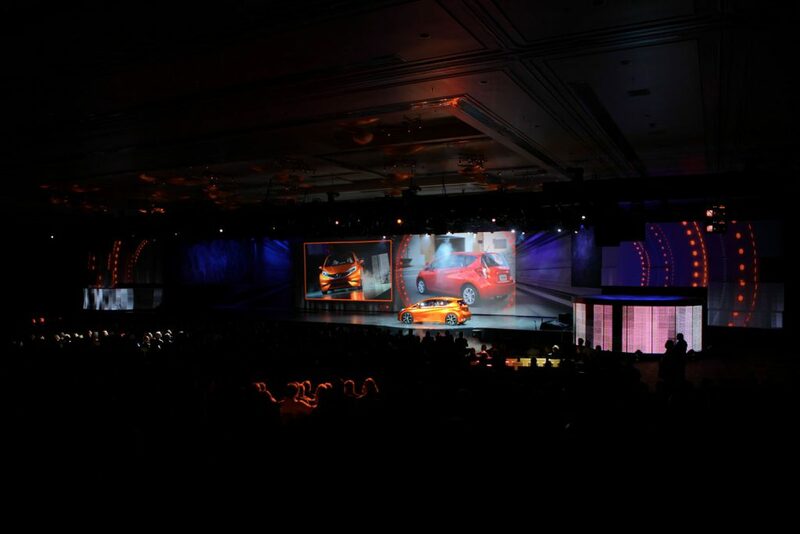 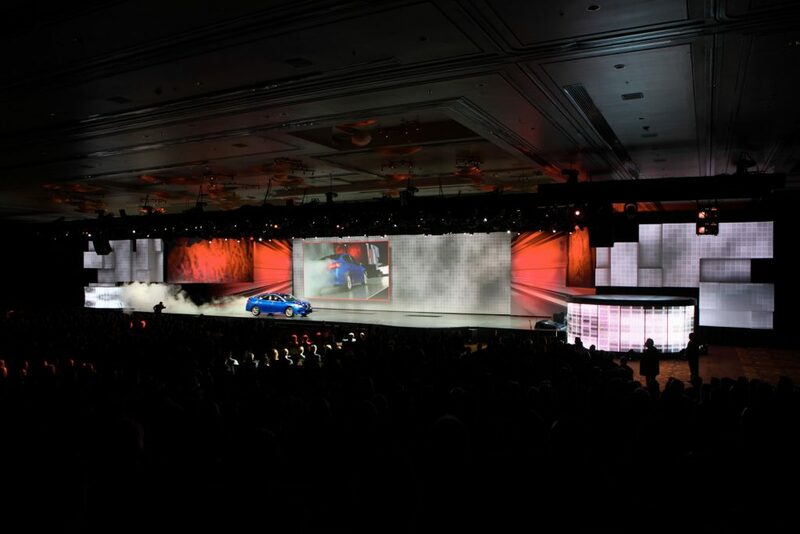 Current production vehicles were showcased on an interactive floor spanning 185′ x 45′ with overhead projection, programmed to respond in real time to vehicles moving across the space. 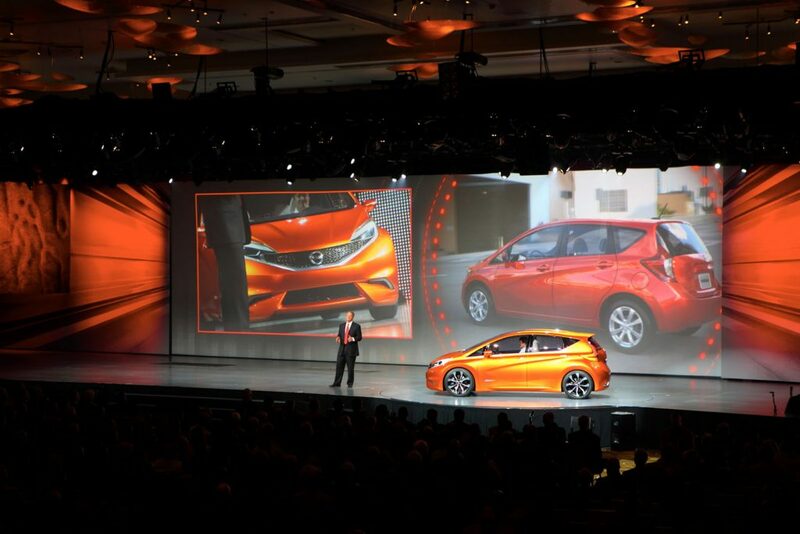 Imagine the content interacting directly with each product reveal! 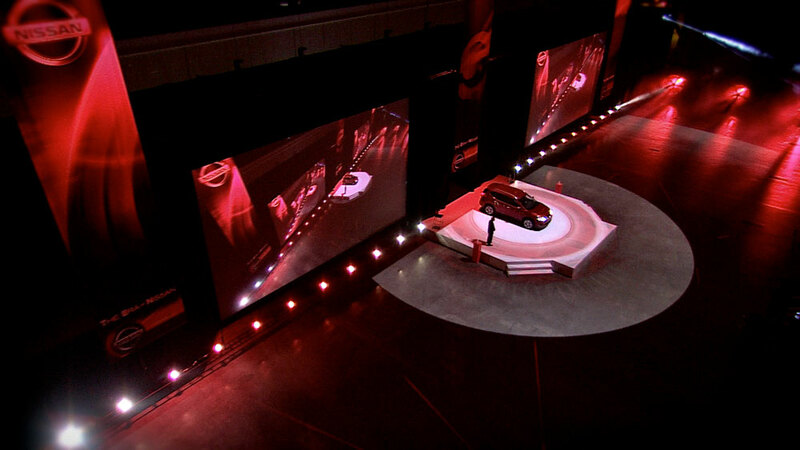 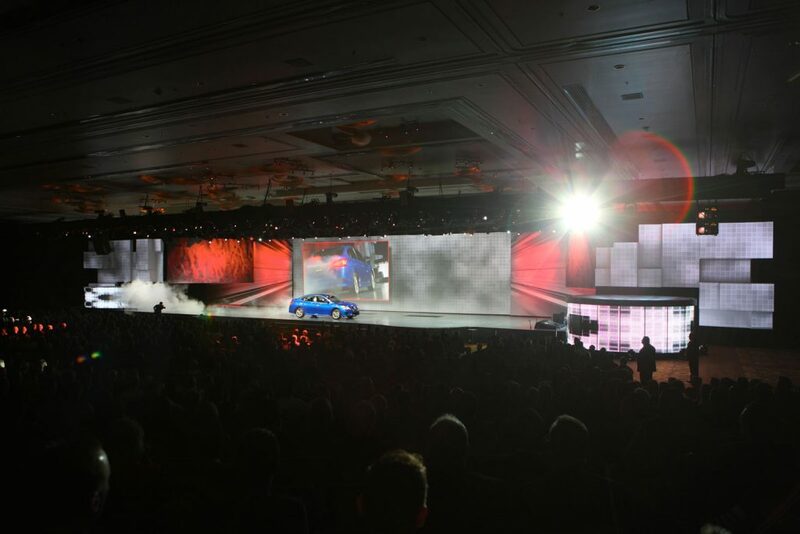 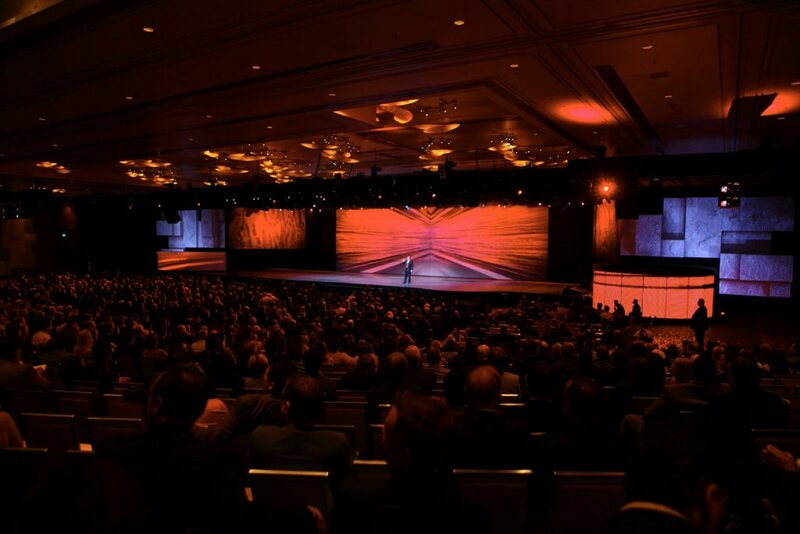 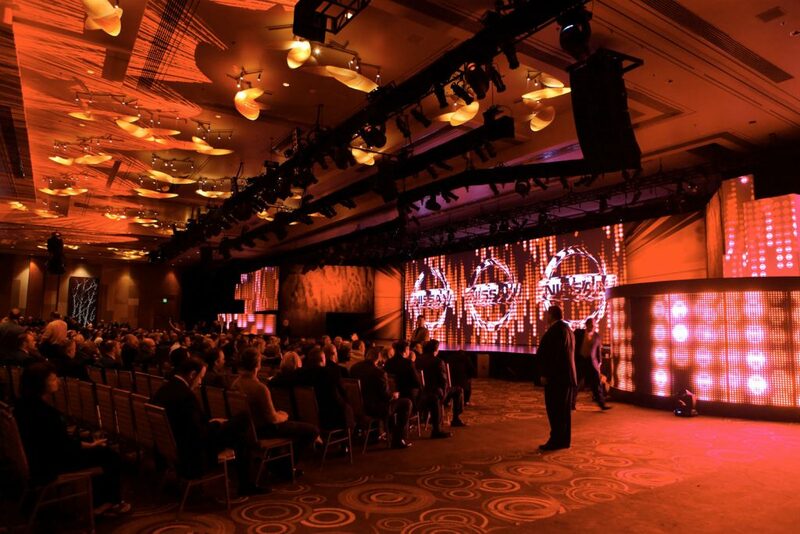 The dynamic floor projection coupled with screen support established a cohesive attendee experience which allowed the dealers to view the product and brand messaging as a fully immersive experience. 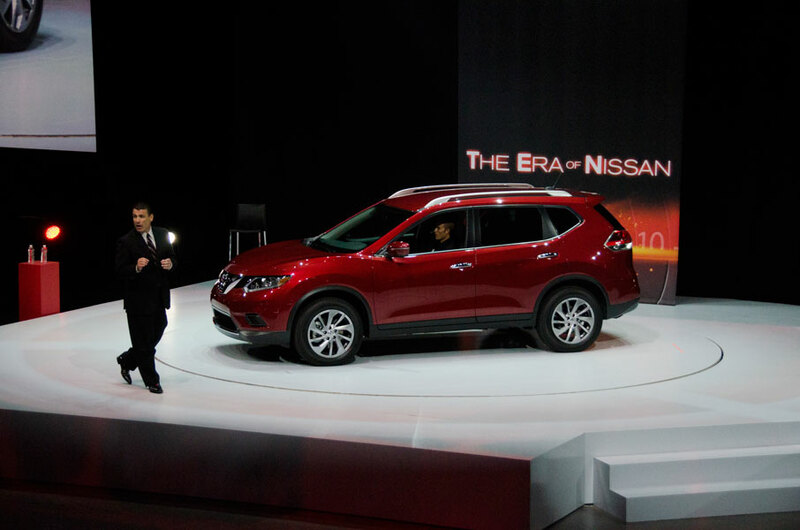 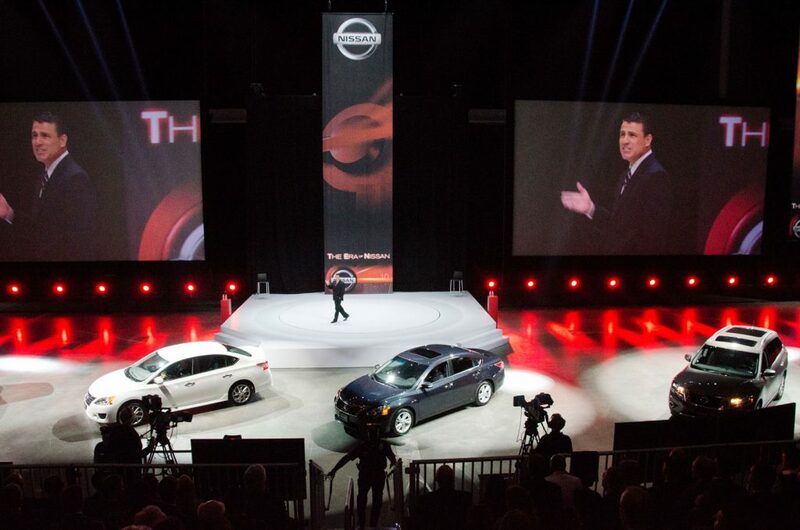 The raked seating ensured that all attendees had a great view of the new Nissan products and the spectacular projection effects.